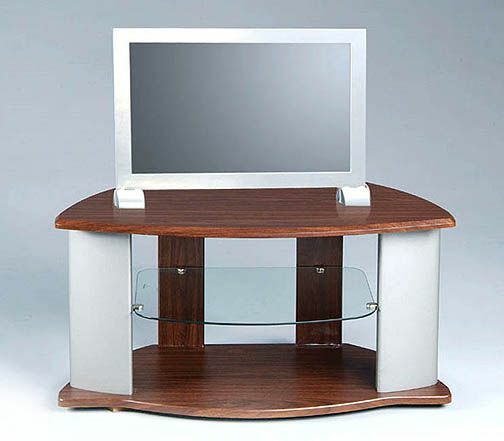 More on the Symphony Stands Dual Tone Wooden TV Stand for 28-32 inch Screens 12459 below. 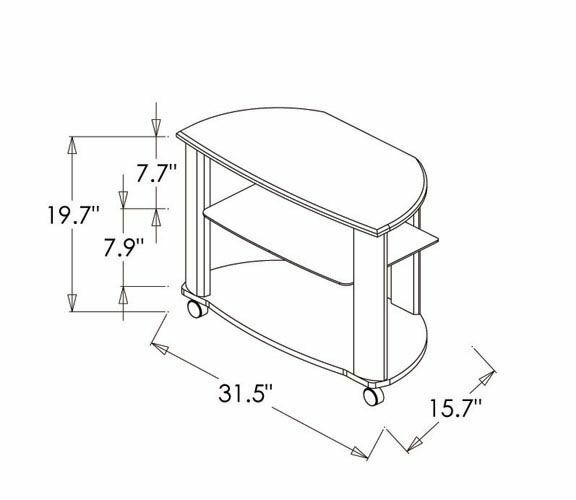 Easy accommodation for 28-32" screens up to 132 pounds. 2 wood-finished storage shelves and 1 floating, clear, tempered glass center shelf. A dual-tone chrome and walnut finish, designed to match nearly any home decor. Bottom to Middle Shelf: 7.9"
Middle to Top Shelf: 7.7"